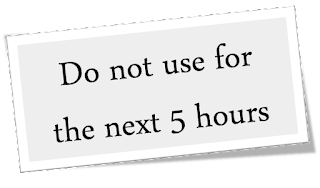 'All About Presentations' by Jazz Factory: Do not use for the next 5 hours? 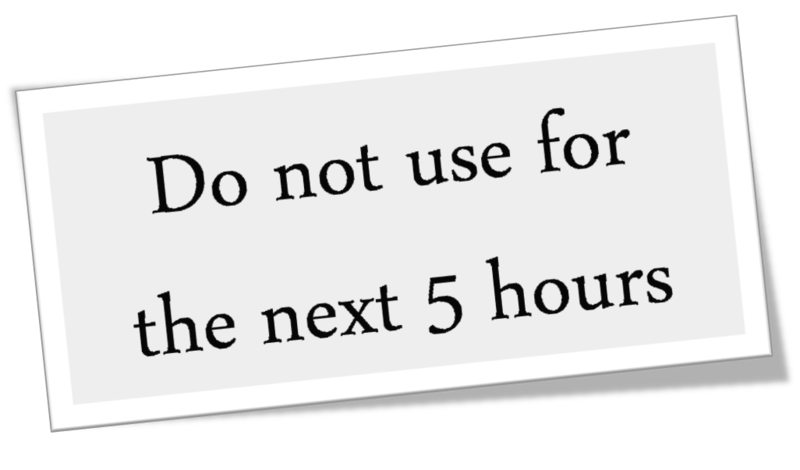 Do not use for the next 5 hours? This note was stuck on the door of a washroom. What do you do when you see such a note? I saw the note and pondered how can someone write like this. This is what Chip & Dan Heath call the 'Curse of Knowledge'. He knew when he was writing it and to him it was obvious. "It is noon now and by 5 the washroom should be ready to use." But what about us? Think of the notes you write in your office or on the fridge (refrigerator) or laptop or door. Reach out to them and see if we could have done it a bit better. I happen to write notes for my newspaper and milk vendor (who come and door deliver these stuff in the early mornings). The note on the door at this very moment reads "No milk from July 5 to July 24". Wonder if I would have written "No milk for the next 20 days". First of all, since I am new here, well done on the blog! And you're spot on on this. Sometimes we leave notes obvious to us without thinking of the recipient. Welcome Theresa. Thanks for the appreciation. Would love to have your views regularly. We all need to learn from each other.